I have been putting my hands to making more bread over the last few months. And, I’m so proud of myself. 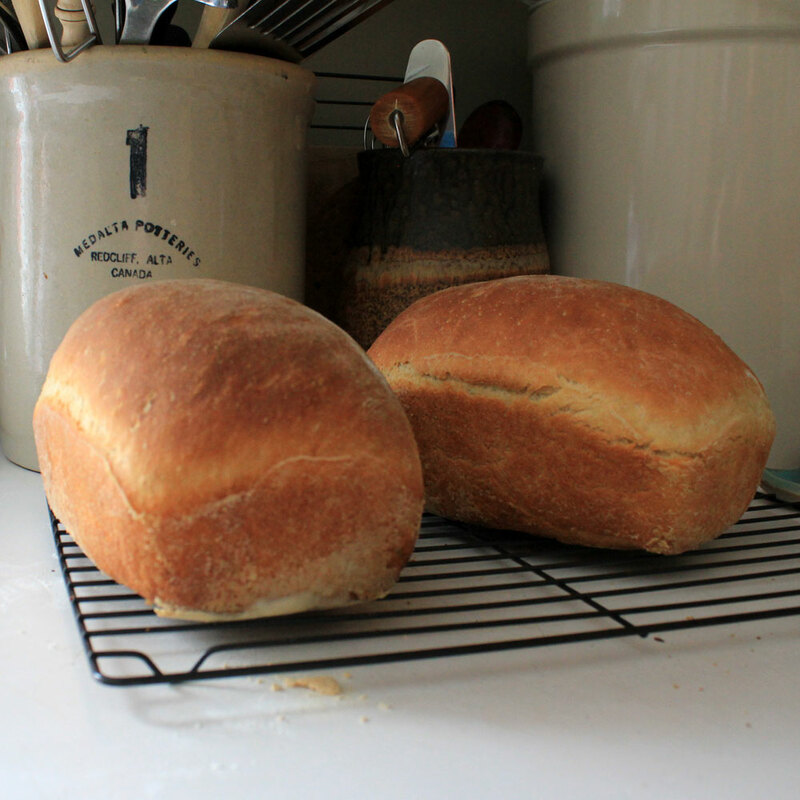 It’s taken me years to make an edible bread., yup, my first few tries had been tears and stress over making bread. 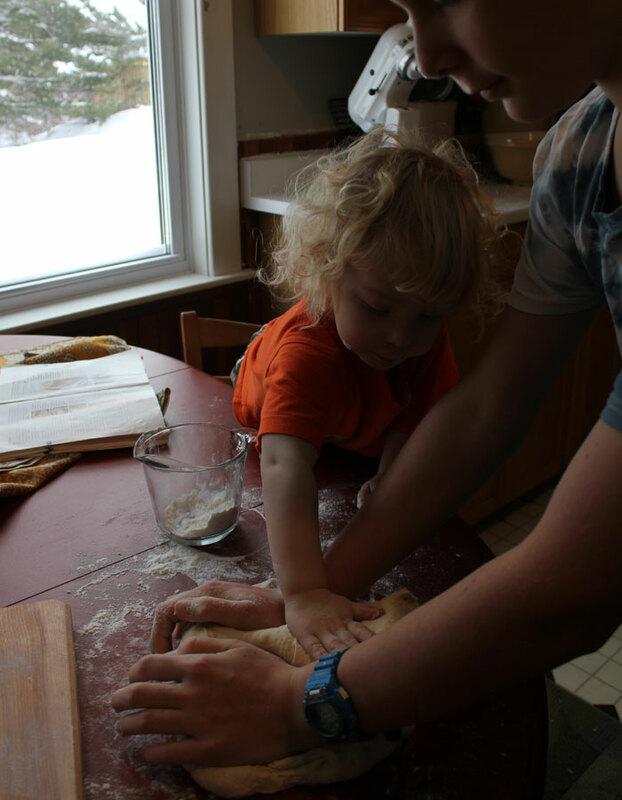 When our older kids where little, I would pull out the flour, yeast and whatnot, get my hands messy and try making bread, Henry would come home to find me flustered with bread in the garbage. I had no idea why my bread never turned out. Now, I think I go into it much differently. I prepare myself mentally before hand. I tell myself to remember to be patient. I also have a special something, my Grandmothers bread bowel, given to me when we first moved back home here. For some reason, everything just turns out perfect when I mix in it. Like magic. 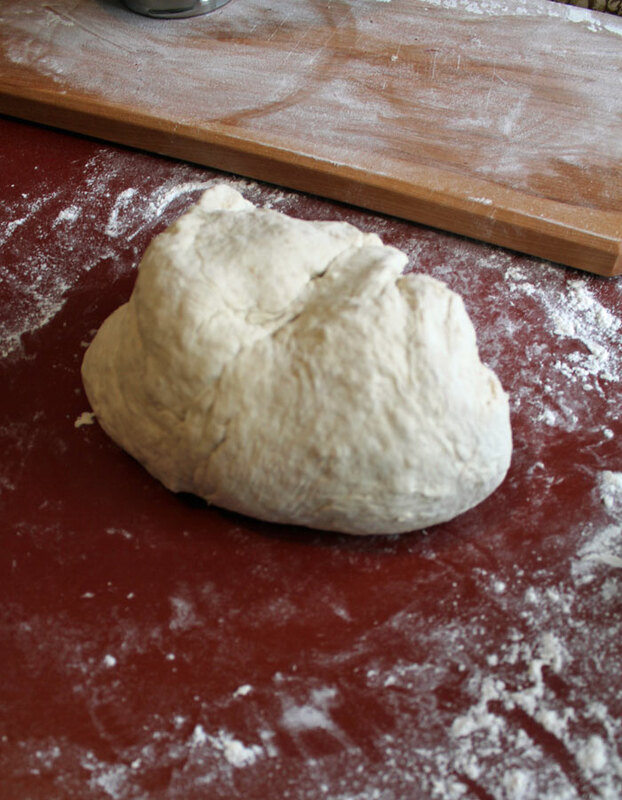 The photo above is an easy no knead bread. If I can make this bread, anyone can. I enjoy her sense of humor in her writing and easy to follow steps. 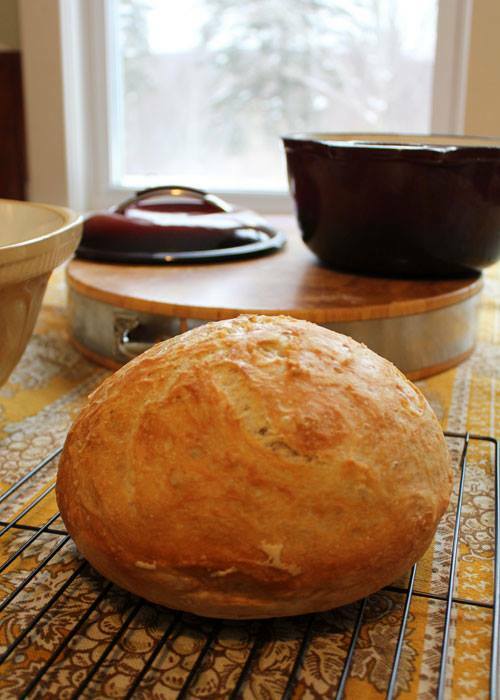 Above is the No Knead bread with the link of the recipe below. This bread is the same recipe I have had for years. I have 1 cookbook in my home and have tried this recipe many many times, years ago. This is the bread I have cried over, and swore I would never try it again. Over 7 years later,” and my magic bowel”, this bread tastes amassing. I have also replaced the milk in the recipe with our hand made Soy Milk. It saves on money and gives it a slightly different taste. Now that I feel confident in my bread, I want to try many more recipes. I took my soy milk bread recipe and added leftover cooked oatmeal and honey with it. I had to add extra flour when kneading it. It’s one of my best breads yet. 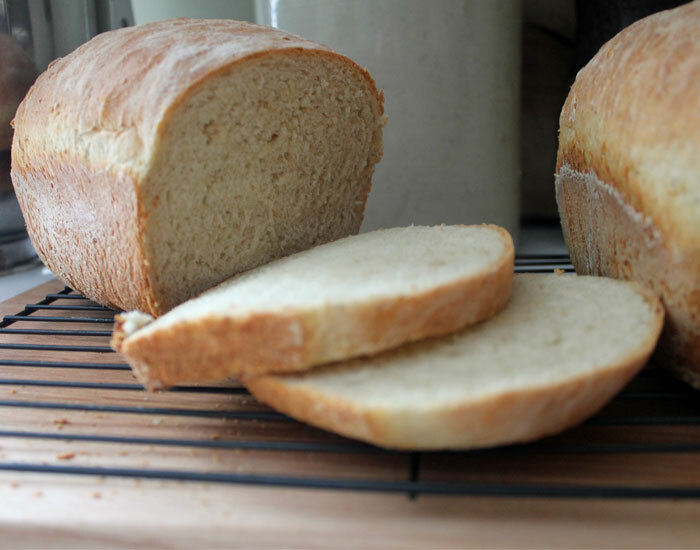 Do you make your own bread? What challenges did you have? Do you have a favorite recipe? I know exactly what you mean. When I first started making bread, it was more like making weapons. It was even too hard for the birds. I would re-try every so often with similar results. Then I heard about a method on the radio where you make a very, very wet dough. I can’t remember exactly eventhough I bought the book. Anyhow, it worked. I started making it drier and drier, until it was like most other recipes. Anyhow, from the first try with this wet recipe, I seemed to be able to ‘do no wrong’. I don’t know what it was, but I seem to have made peace with the bread gods. Bread seems to be a bit of a mystery that way. Soup was a similar thing. I needed recipes for the longest time and even so, the soups were not the best. Now, I seem to be able to throw anything in a pot and come up with a delicious soup. Thank you for letting me know I’m not alone here……My mother in law is amassing at making bread. My husband grew up on her bread so I think I wanted so badly to make it just as good in the beginning. I had to tell myself, It will take years before I can make it as well as she dose. I’m now on my way, baby steps.